Recipient of the 2009 Medicis Cosmetic Industry Award. Presented to Dr. Swift for his pioneering work and innovative techniques that have kept Canada at the forefront of aesthetic medicine. Welcome to our practice. It is our hope that, through the information on these pages, you can become more familiar with our services, our team, and our standard of excellent. The area of aesthetic plastic surgery remains at the forefront of innovative technology, and continues to experience ongoing evolution. Today, we have more options for rejuvenation and refinement using both surgical and non-surgical treatments. We are able to achieve beautiful results using precise technique, facilitating quicker, easier recovery than was previously possible. As you make your way through our site, we encourage you to keep in mind that the basis of aesthetic plastic surgery is realistic expectations of what can be accomplished. The goal of any plastic surgery procedure is to improve one’s aesthetic, not create perfection. 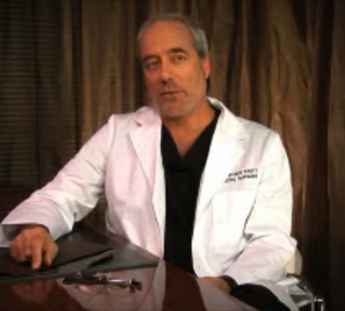 Dr. Arthur Swift provides excellent care to his patients, seeking to create harmony within facial features. What is accomplished with aesthetic treatments can improve your sense of self-confidence and overall wellbeing. Improving upon your physical image, however, does not guarantee that you will feel happier or experience improved relationships. Plastic surgery or non-surgical treatments may turn you in a positive direction, but how far you go in improving all areas of your life is up to you. In our Montreal aesthetic plastic surgery practice, patients may consult with internationally trained Dr. Swift for face and body procedures such as breast augmentation, breast lifts, Smartlipo and tumescent liposuction, abdominoplasty, eyelid, neck and facial surgeries, nose reshaping, laser skin rejuvenation and many more. All procedures are performed by Dr. Swift himself, and patients benefit from his thoroughness from consultation through follow-up care. Please take some time to learn about us here on our site, and feel free to contact us by phone or email with any questions.